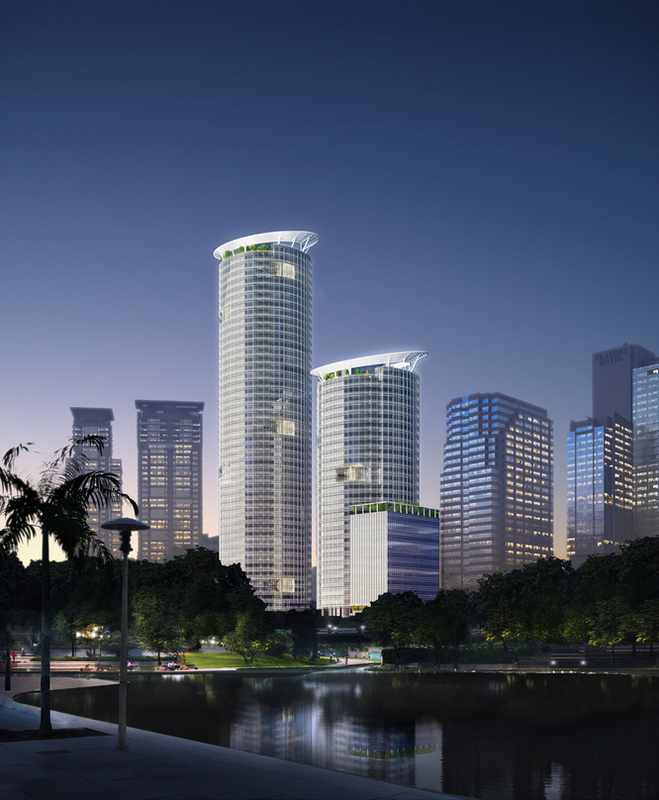 Located within Kuala Lumpur City Centre (KLCC), the OLC Integrated Development is a phased mixed-use project of two cylindrical office towers of 30- and 48-stories rising from a grand public plaza. 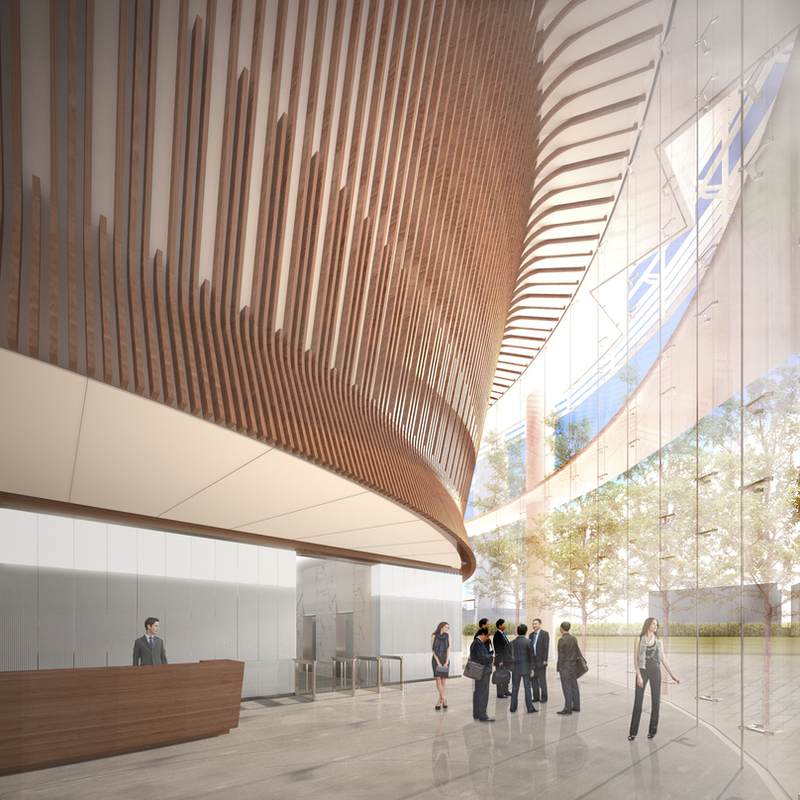 The canopied three-story podium maximizes frontage on KLCC Park and comprises retail, parking and service components. 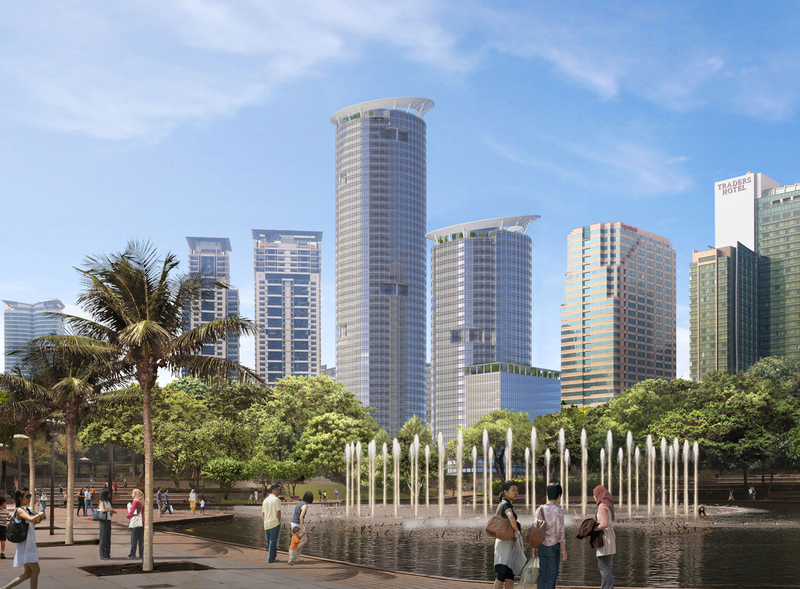 The development preserves and frames commanding views of KLCC Park and the Petronas Towers. Fundamental to the development’s design was the creation and enjoyment of the surrounding landscape. A grand entrance plaza extends the landscape of KLCC Park to the buildings’ edge, unifying the entire composition and serving as an outdoor amenity for all. Roof terraces on the crown of each tower and the podium provide an urban oasis with a series of water features and lounge areas. 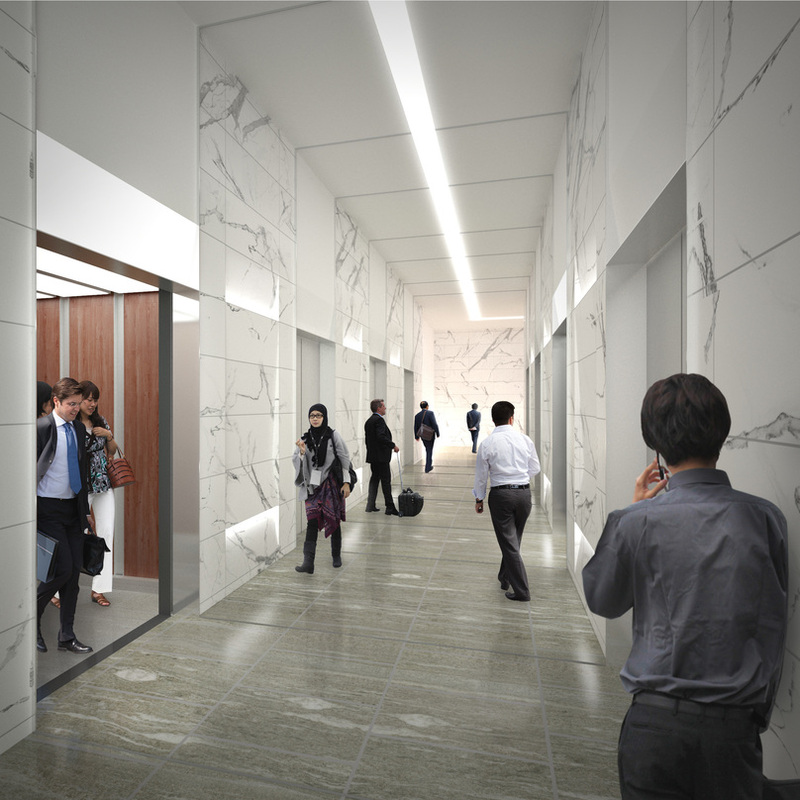 Composed within the towers’ design and serving as enjoyable destinations for occupants, terraces at office levels offer natural light, fresh air and dramatic views of the entire region while reinforcing the project’s identity as a premier development in Kuala Lumpur.